Last month we brought you news (here) of Terror films releasing the Danny Draven directed film PATIENT SEVEN starring Michael Ironside. We now have SEVEN official clips we can share with you. They are called 'I Banish Thee', 'Cold Blooded Killer', 'Get The Noose', 'I Wouldn't Mess With This One Doc', 'John Doe', 'Where's My Bloody Shovel?' and 'Scavenging'. Below this footage is the official trailer as well. Marcus, a renowned psychiatrist, has selected 6 severe mentally ill and dangerous patients from the Spring Valley Mental Hospital, to interview as part of research for his new book. 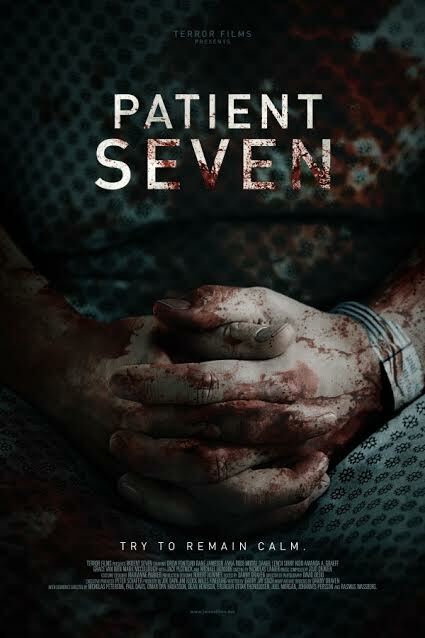 As Dr. Marcus interviews each patient, one by one the horrors they have committed begin to unfold. However, Dr. Marcus soon learns that there is one patient who has been kept from him by the hospital’s administrator, Dr. Vincent - played by Jack Plotnick (Drawn Together, Reno 911! : Miami). The film is out now on and is available on YouTube, Vimeo On Demand, Amazon Instant, Google Play, XBOX Live, Vudu, PlayStation and i-Tunes.